So what is the driving force for CCTV sales today in the UK? Is it crime? health and safety? Perhaps it is site management and all the benefits that can bring to an organisation? Whatever the reason one thing that cannot be disputed is that it is still a grudge buy. Often considered a necessary evil by the company FD, he is loathed to spend too much money on something that is not instantly going to bring financial gain to his organisation. CCTV though in the UK is an accepted culture now. Its almost the first thing people do if they have something stolen or damaged in the workplace, they instantly go running to their manager and ask for CCTV evidence that might help them gain some kind of retribution or recover their stolen goods. Sadly in many cases the evidence they are able to view is of poor quality or the incident is not even picked up at all even if there is a CCTV camera in the right location. What’s the point you may ask? Well there is always the deterrent value. The perpetrator of any crime does not actually know what evidence the camera will pick up so doubt may prevent him committing the crime in the first place . Beyond this, the argument becomes difficult for day to day incidents. Even for more serious incidents the police will rarely prosecute based on grainy images. They will only pursue CCTV images seriously in the event of a terrorist incident or a murder. They do tend to be able to leverage this evidence when there is an extreme reason, otherwise forget it! Enter the era of HD CCTV UK. Now we have a product that actually starts to address all the weaknesses of analogue that we have discussed above. The picture quality is better , much better. The picture can be interrogated without mass pixelation making the image unusable. The camera itself will cover a wider area thus picking up more information and most important the picture is more acceptable to the authorities. This means they can take any incident that has been captured far more seriously. So why has it taken CCTV UK so long to migrate to an HD format? Well mainly because HD is the domain of IP camera systems and IP camera systems are not the most favorite of things with UK CCTV installers. The learning curve to install and the need for remote back up and even a fully functioning ITC department means the uptake in the UK has been slower than expected. Now however with concentrated efforts by the big manufacturers training is being dished out to all installers who wish to take it. Companies such as Avigilon have based their future around HD and they expect to be one of the largest CCTV/IP camera providers in the world within 5 years. Their products are superb and they represent the number one reason that IP HD cameras can make a massive impact on the UK CCTV industry. This said, HD IPCCTV still needs to be accepted by many CCTV installers across the UK, although to be fair uptake of HD IP CCTV solutions has accelerated this year and things will get more interesting next year. So HD is driving the market place and new sales? Well we also have one more option . That is HD CCTV over coax. This is HD CCTV cameras using the existing infrastructure of coaxial cabling previously servicing a companies analogue CCTV system. Now this technology is in its infancy and is still too expensive to expect all who currently run analogue CCTV systems to suddenly upgrade. However there is promise there. 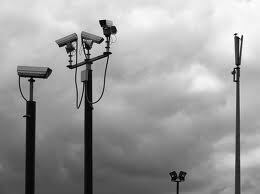 All that said by 2014 it is claimed that half of all new CCTV systems will be HD . Whether that is IP HD or HD CCTV over coax is a question for the market to decide. However HD and all its benefits will drive CCTV sales and we certainly welcome what is going to be a vast improvement to security systems and picture quality across the UK over the next 5 years. 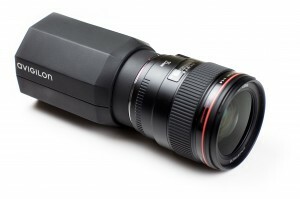 This entry was posted on Wednesday, September 28th, 2011 at 01:43	and is filed under CCTV, HDCCTV. You can follow any responses to this entry through the RSS 2.0 feed. Both comments and pings are currently closed.